Get up close to seals and migrating birds, hike the stunning North Norfolk coastal path and stay in a 17th century bunkhouse on this refreshing seaside adventure. 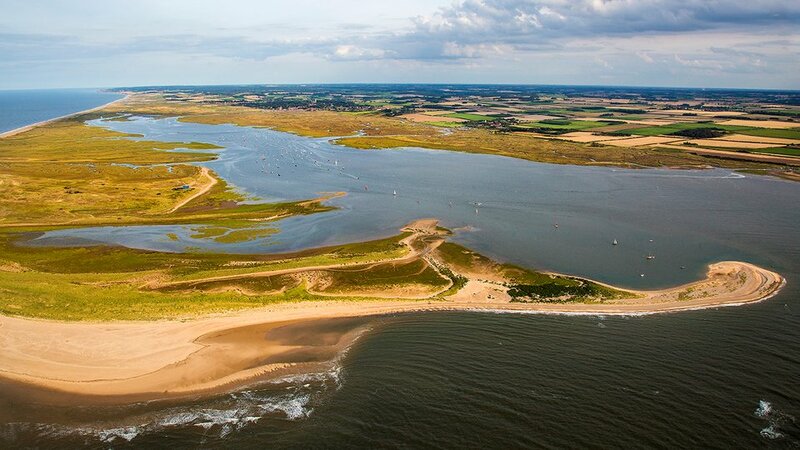 The North Norfolk Coast is a classic outdoor enthusiasts' paradise offering watersports and loads of adventure activities, but it has plenty of other stunning sights - from beautiful beaches and salt marshes to historic buildings and small fishing villages. The Norfolk coast is also famous for its seal colonies but in winter it is also home to huge flocks of birds - thousands of geese at a time, bitterns, terns, oyster catchers, avocets and marsh harriers. On this unique weekend you'll be staying and hiking in an Area of Outstanding Natural Beauty, and getting up close to a colony of grey seals and huge flocks of migrating birds - so bring your binoculars! After full days wildlife spotting and exploring the beaches and waterfront towns, you'll spend relaxing evenings in an award-winning, cosy bunkhouse in the historical village of Burnham Deepdale, with its own Saxon round-tower church. Add in some visits to local pubs, excellent food, a welcoming host and like-minded people and you've got it all. EC adventures are informal, friendly and great fun! They're made up of solo travellers, couples and small sets of friends with ages typically ranging from mid 20s to mid 40s but anyone over 18 years old and young at heart is welcome. Whether it's your first time exploring the outdoors or you're an adventure professional, EC adventures are a great way to meet like-minded people in a safe, welcoming and fun environment. You can arrive at the bunkhouse from 6pm on Friday, where your host will welcome you and settle you into your room. You'll be free to have a relaxing evening at the bunkhouse, or you might want to pop out and visit one of the two nearby pubs for dinner. 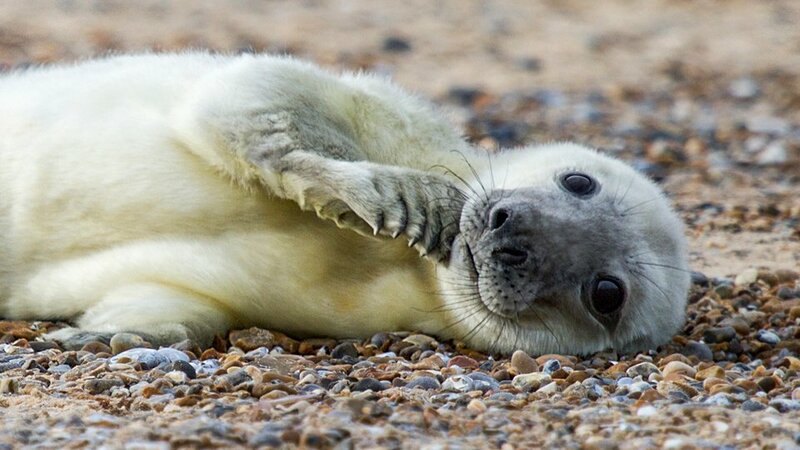 On Saturday morning we will take a boat trip to the famous Blakeney Point to get close to the grey seal colony who come back to Blakeney specifically to have their pups. They give birth in November and December so during our visit we should see a good selection of seals at different stages of development. The boat trip lasts an hour and will provide a chance to get some great images of the seals. After this you can take the Coasthopper bus and visit other areas of this beautiful coastline, such as Cromer - home to epic cliffs, a lighthouse and Britain’s favourite pier. You'll end the day with a tasty home-cooked meal back at the bunkhouse. On Sunday you'll enjoy a refreshing walk along the Norfolk coastal path, with half and full day options. You'll have the chance to explore places such as Cley and its lovely windmill, the fishing village of Wells-next-the-sea, and the coloured huts of Holkham Beach. The beach has miles of beautiful sand to walk along and was also featured in the film ‘Shakespeare in Love'. Expect to finish around 4pm when you'll feel invigorated, relaxed and ready for the journey home! Please note we may have to swap the days' activities depending on weather! You'll have exclusive use of the Granary bunkhouse at Deepdale, an award-winning, eco-friendly independent hostel. It's easy to get to by public transport too - the nearest train station is King's Lynn which has direct trains from Cambridge and London King's Cross. The hostel rooms are grouped around a partially covered old stable courtyard - the buildings date back to the 17th century and have been restored in the traditional Norfolk style, with modern updates including free Wifi and a TV! The rooms are shared, containing dorm-style bunks and all bedding is provided so you just need to bring a towel. If you haven't done 'communal living' for a while it is lots of fun but you might want to bring earplugs! A cooked breakfast will be provided on both mornings as well as dinner on Saturday. As people will arrive at different times on the Friday, please eat on the way or you're welcome to use the self catering kitchen at the bunkhouse. There is also a cafe on site and two pubs within walking distance. We'll be out all day so it's best if you bring a packed lunch with you for both Saturday and Sunday. We will be walking along the coastal path which goes up and down, but the walks are suitable for anyone and you don't need any previous hiking experience. This adventure runs from Friday 8th to Sunday 10th February, 2019. You'll need to pay a £75 deposit when booking with the balance due by Friday 7th December 2018.